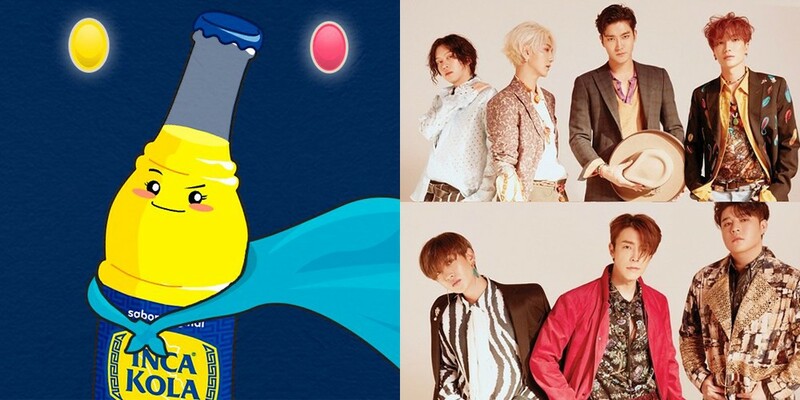 Peruvian soda brand 'Inca Kola' gave a shoutout to Super Junior with a cute illustration! The Peruvian 'Inca Kola' Twitter page is full of cute illustrations of its mascot, a bottle of 'Inka Cola'. But for their Super Junior shoutout, the page specially dedicated a group of 7 'Inka Cola' bottles performing on stage, along with the words, "We love you!" Super Junior recently stopped in Peru for the South American leg of their 'Super Show 7' world tour, back on April 22. Check out 'Inka Cola' version Super Junior below!